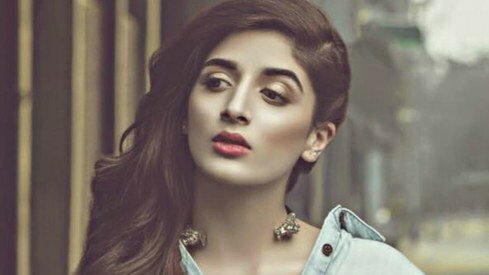 Last year, she gave us Sammi and this year, Mawra's set to enthral audiences with Aangan. The upcoming pre-Partition period drama, directed by M. Ehteshamuddin (Udaari, Sadqay Tumhare) and written by Mustafa Rizvi, stars Mawra as its female protagonist who is joined by an A-list cast that includes Sajal Aly, Ahsan Khan and Ahad Raza Mir. As they get ready to shoot another spell in Karachi, we catch up with Mawra to get the scoop on her character. Images: The last time we spoke, your character Aaliya in Aangan was still in development and you were still researching in order to play her. Are you now in a position to talk more about your character? 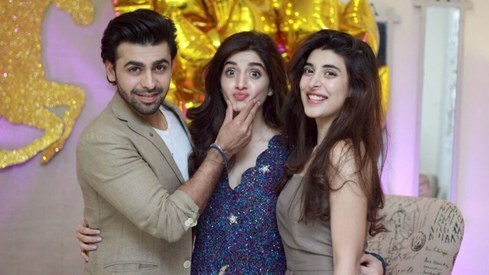 Mawra Hocane: The most I can tell you is that the experience of playing Aaliya has been one of a kind and [director] Ehtesham Bhai has been amazing. We've had a lot of fun going back to that era. I'm excited that I'm romancing Ahad [Raza Mir], Ahsan [Khan] and another actor whose name I can't reveal yet. But I'll be romancing three boys and [my character] happens to be the narrator of the story. She is, in a way, the protagonist of the drama. It's nice that the entire story revolves around Aaliya. Whatever you see in the drama, you see through her eyes. Could you talk a little more about romancing three men in Aangan? We've seen plenty of love triangles with two men, but three men is a bit unusual for Pakistani drama standards. 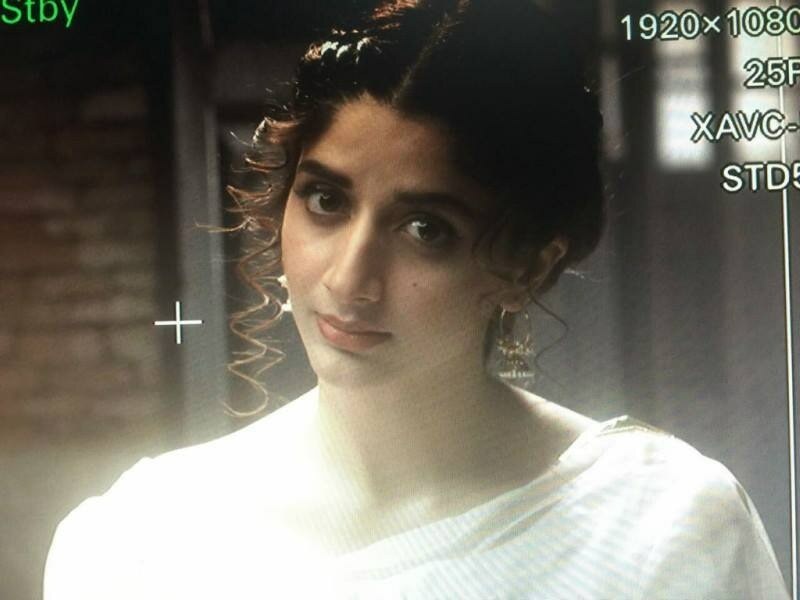 Mawra: When you watch Aangan, it'll be so overwhelming! The script is so beautiful, the way it [splits up into] multiple tracks and the story changes in every episode. Every time, you'll have something new to see. It's stretched over a several decades, a long timespan. I think I've said too much! And can you talk a little bit about how you got into this character? Mawra: Aangan is a novel by Khadija Mastoor and the drama is based on that. My research for my character involved reading that novel and reading the script a few times. I had long discussions with Ehtesham Bhai over what all we'd be doing for the character to reflect that era — the body language, the pace of it... Pace played a great role. Because we're accustomed to doing contemporary roles, so we're very quick in the way we speak, that's the way our reflexes are. So at least for me, Ehtesham Bhai toned down the pace a bit. So yes, it had more to do with what we learned on set rather than researching. But every time I'm going for a scene in Aangan, I'm really nervous. This has not happened to me in any other project. So I'm re-reading the script repeatedly to understand its depth. Because there's nothing light about Aangan. Mawra: I think every time you take up a new project being made on a big scale, it is a little difficult every single time. But the more projects you do, the more you evolve as an actor. So you understand who to draw your character from. I'm a director's actor, so I've been working constantly on set with Ehtesham Bhai to make the character great. That means my character is constantly evolving. There hasn't been a single day where we feel that we've understood the the sort of person Aaliya is. We've been developing the character every day on set. Images: And did you have any say in how your character looks? Mawra: That's definitely team work. All my clothes are styled by Rubab at MD Productions. We have further styled the look on set with Babar Zaheer with a lot of input from the director. Usually, a look is finalised before we go on set. But on Aangan, as I said the character was developing, so decisions on the look were taken on set. Everybody had read the script, from the makeup artist and stylist, so that everyone understands the kind of era we are shooting in. And of course I had my say, because we were all working together. Images: You're balancing law school with a pretty hectic acting schedule. How is that going? Do you think there will be a time you'll switch over to law from acting? Mawra: That's. Driving. Me. Insane. Because last year, I had wrapped Sammi by February. And I thought I'd wrap Aangan and JPNA 2 around the same time this year. But it's end March and I still have shooting spells left for both. And my exams are in May. So it's quite crazy. As far as pursuing law is concerned, I say never say never. I'll have my Supreme Court license. But my career keeps me really busy, so that's there. [Acting] is something I want to do for the rest of my life. But I always find time to do the things that interest and mentally stimulate me. Sometimes your routine becomes a little tiring, doing the same thing over and over. So it's nice to break out of that life and get some perspective. I enjoy the process, more than the result or whether I pursue law or not, the idea is to enjoy the process. "Aangan" - but there is already a serial airing on ARY Digital with the same name. @haris Yeah, that is what I was thinking. Romancing 3 men at a time, is not romance, it's a flirt. These days many plays and dramas are immoral and messy. Writers may please revisit their conscious and try to write decent clean moral writings. Remember a writing clearly reflects the mind of writer, and often a good actor or actress refuse to play below the moral or indecent roles. TV ratings is not everything that writers forget, their drama will spoil the innocent minds to great extent. Romancing three men at the same time? I think i have seen this movie. Hope they do justice to the Novel, its literature. One of my favourites.